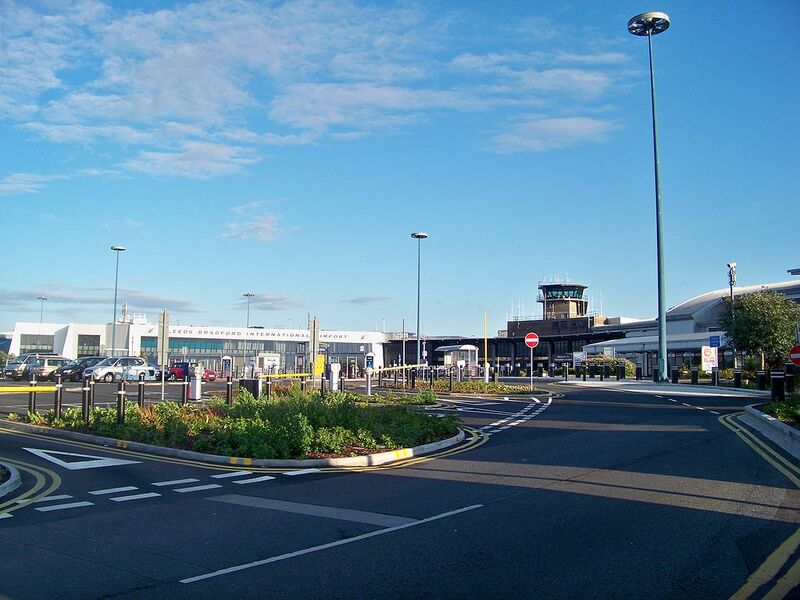 ← Leeds/Bradford airport unscathed by airline review … but what next? A quick footnote – especially for friends and family in Bradford – to yesterday’s debate in the House of Commons about a possible rail link to Leeds/Bradford airport. … but it turns out it only refers to the cost of linking the airport to the Leeds-Harrogate rail line via two spurs, and doesn’t include any rail link from the airport to a line running in to Bradford. 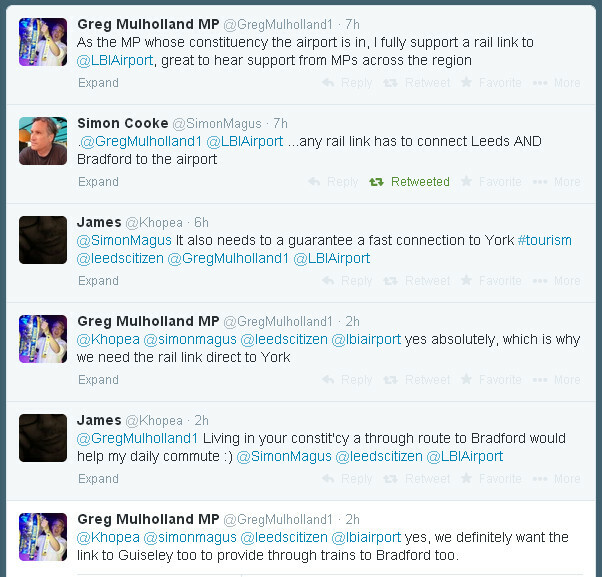 What Pudsey MP Stuart Andrew said during the debate was that he was advocating that the airport be linked to the Leeds-Harrogate line as “stage 1”. “I had a meeting with the airport last week; the Horsforth spur that I suggested would cost some £50 million, and the Harrogate spur would cost an extra £25 million to £30 million. With all the other costs that would be added, the total is some £98 million,” he said. It’s not clear where Mr Andrew got his figures from. There was no mention during the debate of any “stage 2”, where it might go or what it might cost. Does Messrs Andrew (Tory) and Mulholland’s (Lib-Dem) phased approach have the backing and blessing of the Labour-run councils in Leeds and Bradford? Curious, though, that the West Yorkshire Combined Authority (the people who are supposed to make all the big transport decisions in the region) have left it to two local MPs to make the announcement for them. Airport rail link completists! You can read the whole debate here online in Hansard. They only finished talking around 5pm Wednesday evening and it was online three hours later. Not bad. Cheers to @StuartLong01 for pointing me to it. This entry was posted in Uncategorized and tagged bradford, bradford council, greg mulholland MP, leeds, leeds bradford international airport, leeds city council, rail link, stuart andrew MP. Bookmark the permalink. For completeness on all this I remained convinced that – as per usual – Yorkshire will be offered the cheapest solution possible. And this will be a link from Horsforth to the Airport. Just as was the case with the supertram, Leeds politicians will wonder why they don’t get the stuff they want. This is because, unlike Great Manchester, those politicians are only interested in a Leeds solution to a Leeds problem. Any suggestion that part of that funding might go towards a Bradford solution to a Bradford problem is usually ignored. Or for that matter a West Yorkshire solution to West Yorkshire problems. Right now Leeds is getting itself into a funk over a bus-on-a-string, a 19th century solution if ever there was one. We lack ambition, initiative and thought which means we deserve to get shafted by national government on infrastructure funding most of the time.